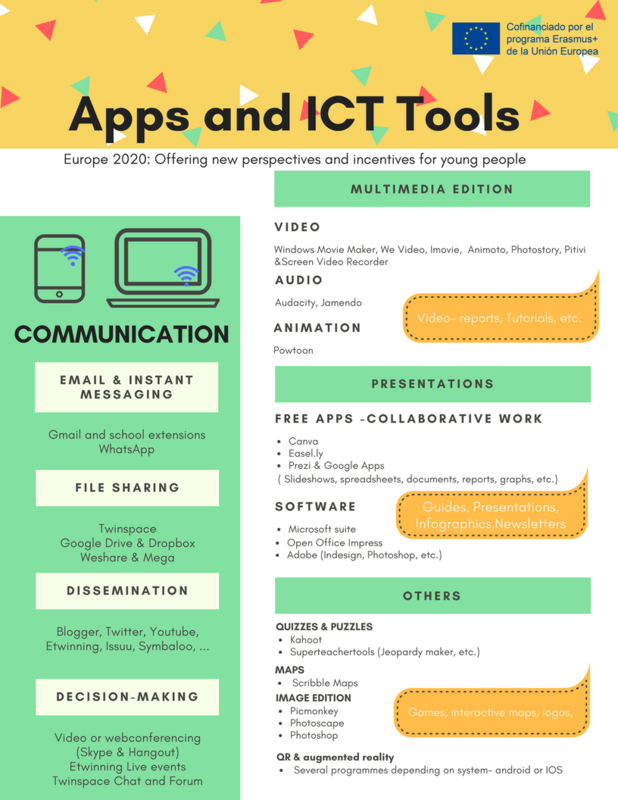 Since digital competence has become a must for employability and active citizenship, most of the work and activities have focused on , or at least contributed to the development of the five competences areas established by the European Digital Competence Framework: Information, Communication, Content Creation, Safety and Problem solving. 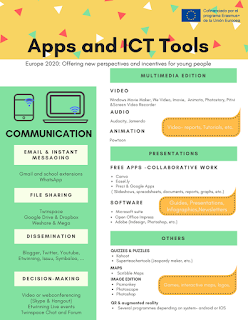 Among the activities completed, there have been workshops on the use of free software addressed to teachers and students, tutorials on cloud storage and use of Web 2.0 apps, tasks implying the creation of content by means of mobile apps , etc. To support the development of this competence, talks, brief tutorials and guides have been produced informing about safety and copyright issues, how to record video documentaries or edit audio files.